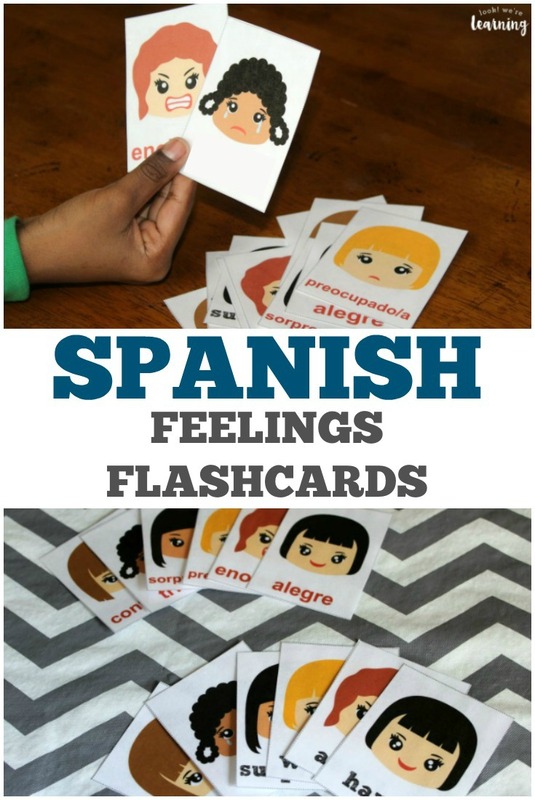 Printable Spanish Feelings Flashcards - Look! We're Learning! Learning to talk about feelings is a big part of early childhood education. Giving kids words to express their emotions is a wonderful way to help them manage their feelings, talk about them with others, and understand how to process them. 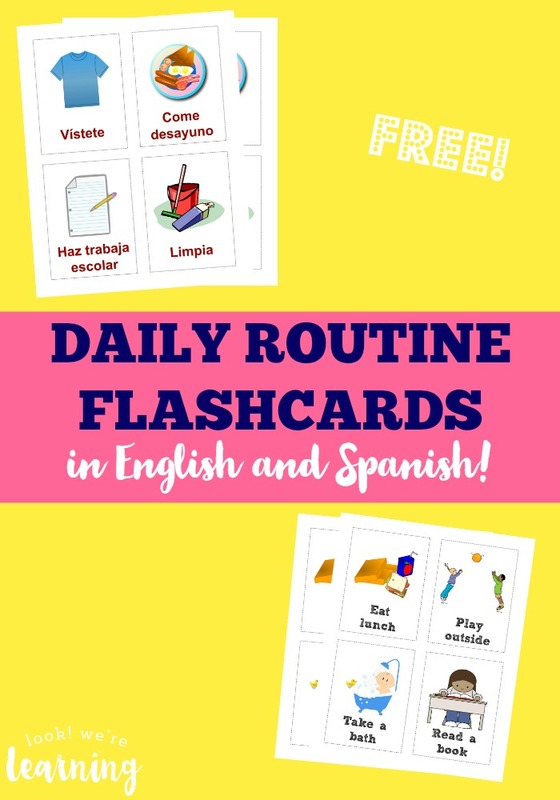 So, if you’re teaching Spanish to your kids or if you’re teaching English as a second language to children, this set of English to Spanish feelings flashcards is a great addition to your collection of printable Spanish flashcards! Read on to get your set for free! 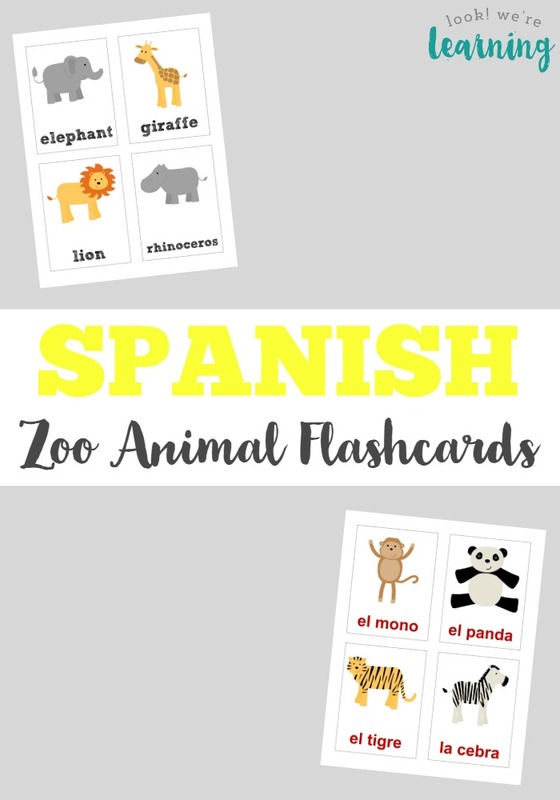 And, check out our Spanish parts of the body flashcards for more Spanish learning fun for kids! 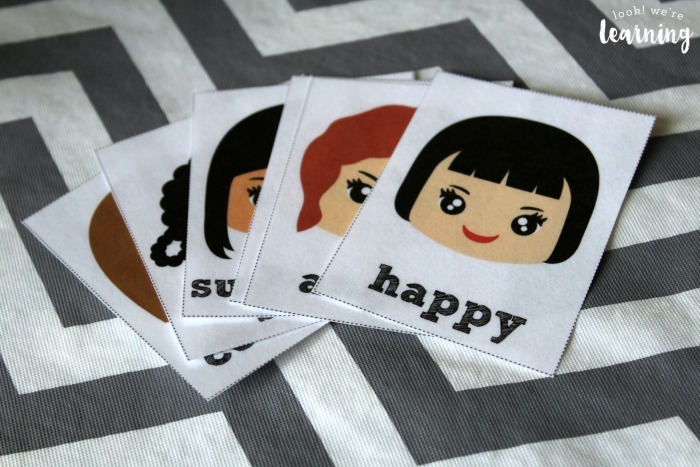 The set has six cards featuring faces and words for each feeling in both English and Spanish. 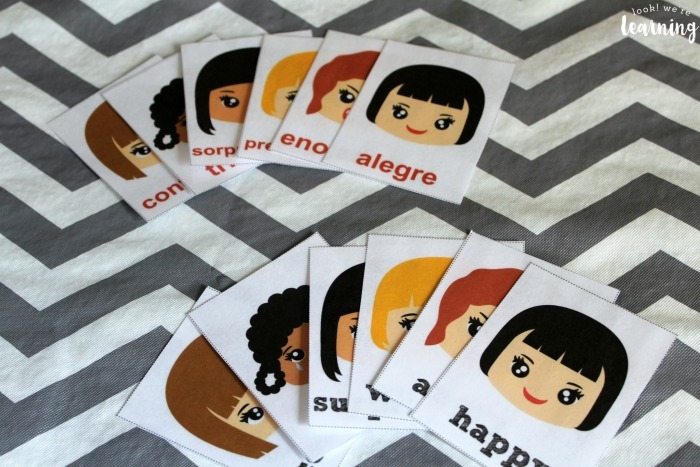 Plus, a set of flashcards with the faces alone and a pronunciation guide to say each Spanish word correctly! These could be really useful for kids who are learning to talk about emotions in either English or Spanish. They might even be a good resource for nonverbal kids who are working on identifying or expressing their feelings to parents or caregivers. And with six different emotions to choose from, you could play a matching game with the kids. 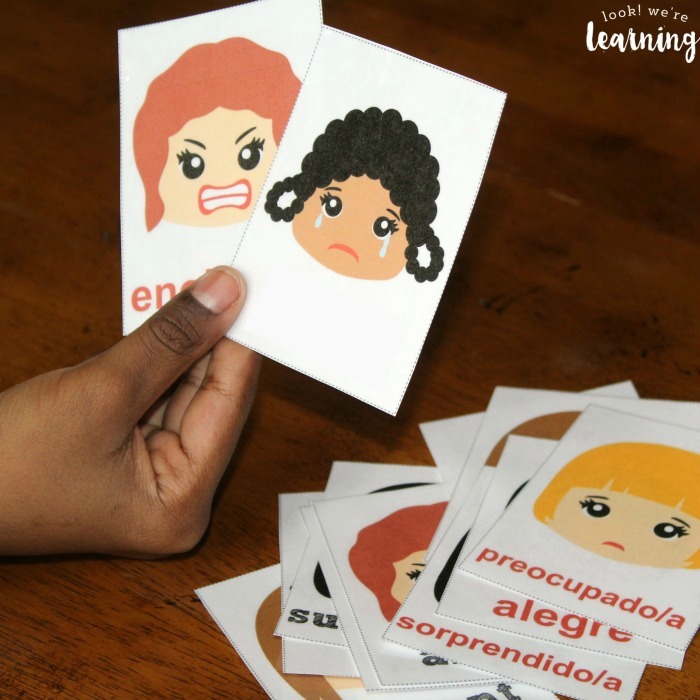 Or challenge them by making a face from one of the cards and letting them guess the correct Spanish emotion word! 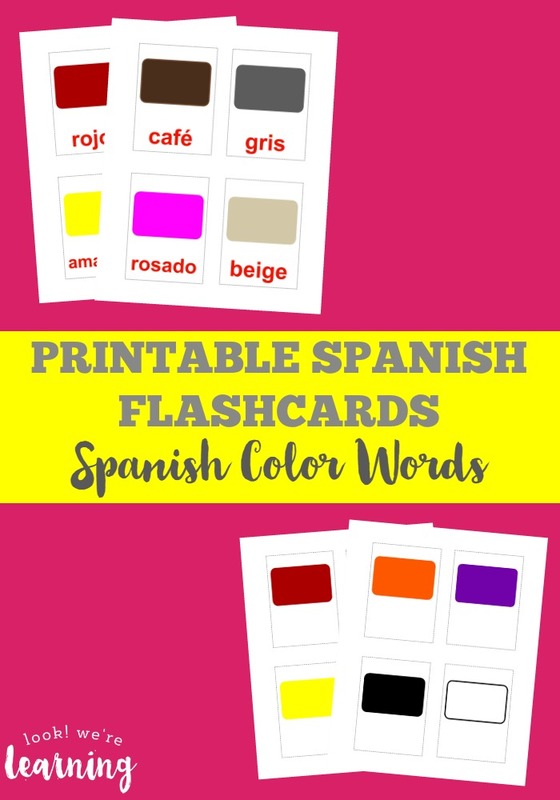 Scroll down to get your free Spanish feelings flashcards! Don’t miss these other Spanish language resources! And be sure to follow my Foreign Language for Homeschoolers board on Pinterest for more learning ideas! 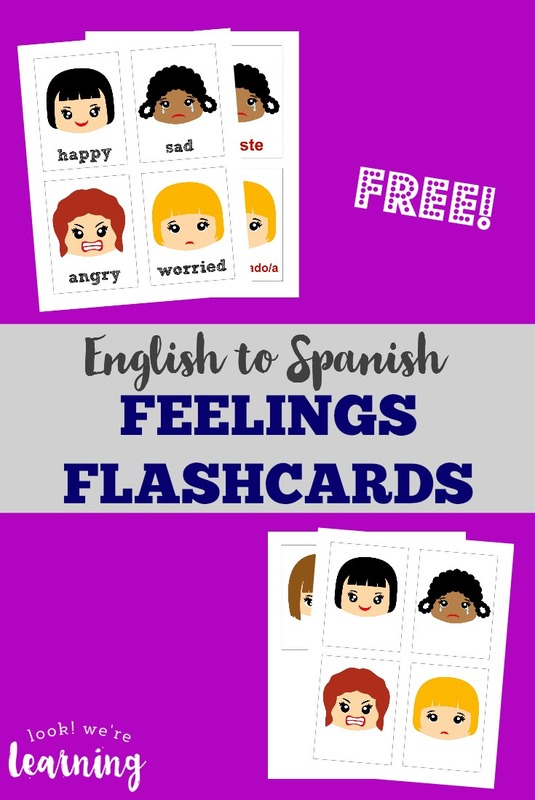 To get your free printable English to Spanish feelings flashcards, click the image or the link below to visit our Store! These are really cute but triste is not spelled correctly. Please let me know when you fix them. Thanks! Hey Laura! They’re fixed and ready to go now!!! Thanks again for your eagle eye!